Many CEOs ride on a rising tide. It's easy to deliver the numbers in a fastgrowing market. If an economy is expanding at 9 per cent, you can keep doing what you are doing in the same way and still appear to be a star performer. It's in the tough times that a CEO's mettle gets tested. This is the time when true leadership is required. New strategies have to be developed, cost-cutting becomes an imperative and innovation is the order of the day. The last three years have been among the toughest that Indian business has faced in recent decades. The India story started winding down in the beginning of 2011 - we forecast a decelerating economy in our India Slowing cover story that February - and has not looked up so far. In spite of all this, there are companies and business leaders who have managed to thrive. They have tweaked business models, restructured product portfolios, juggled teams, made heavy investments, pared costs and delivered stellar results. It is these CEOs we are celebrating in this Best CEOs issue, which coincides with BT MindRush, a signature annual event we are launching this year. To their credit, these CEOs not only performed in a hostile business climate but also an atmosphere of fear created in the corner offices of the country by the judiciary and government by their probes. In this issue of Business Today, you will see the results of our Best CEOs survey based on a methodology we built together with consultancy firm PWC India. Last year, we had partnered business school INSEAD and Harvard Business Review for our first-ever Best CEOs listing based on 15 years performance measured by shareholder returns. This year, we blended it by measuring three broad metrics over a period of three years: relative shareholder performance, growth in profits and revenues, and efficient capital utilisation. We then brought in the smarts of an experienced jury led by ICICI Bank Chairman K.V. Kamath to choose winners from a shortlist. The five-member jury, which commended our research team for the analytics, took into account the non-quantitative aspects of leadership like social responsibility, mentoring and coaching, gender sensibility, governance and other values while picking the winners from a shortlist. Even as we take the big stride with BT MindRush in our 21st year of publishing to celebrate and groom leadership in India, we are acutely aware that we don't have enough leadership bandwidth in our country if we are to grow from a $2-trillion economy to a $10-trillion one. Our winning CEOs see this as the crying need, too. They have varied leadership styles - some swear by strategy, some by their people, some by customer centricity and some by execution - but all of them are clear that they have to groom leaders at all levels in their organisations. >> Vivek Chaand Sehgal's Motherson group of companies, which traces its name to a company he formed with his mother in the mid-1970s, will close revenues at over Rs 35,000 crore in 2013/14, up from some Rs 2,595 crore in 2008/09. Sehgal is proud that one of his companies does the interiors of the 911 Porsche Carrera. >> When at Citibank, Aditya Puri didn't hesitate in taking a step down the ranks when he shifted from operations to marketing because he knew the exposure was essential to his career. Today, he helms the second-largest private bank in India, HDFC Bank. >>Nitin Paranjpe, while fighting with his back to the wall to grow business at Hindustan Unilever Ltd, still invested heavily to double rural outlets to two million between 2010 and 2012. And, he made access to his office easy for staffers at all levels even insisting on lunch with management trainees at least once a week. >>Shikha Sharma, CEO, Axis Bank, credits Kamath for two important milestones in her career: an introduction to the personal computer and a primer on Excel. >>It is well known that Tata Consultancy Services's N. Chandrasekaran is a marathon runner and even had an app developed that allows fellow runners in the company share their logs. 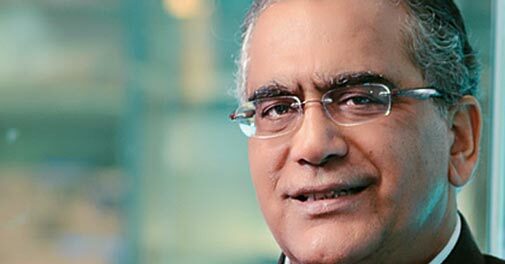 What is less known is the CEO's elephantine memory: his people estimate he knows some 5,000 people at TCS by first name. With a comprehensive Best CEOs listing and what promises to be a collector's issue, we promise to shine the light year after year on accomplishments - as also development needs - of leaders in corporate India. That, we believe, will help sustain and build the leadership that our economy needs. May a million leaders bloom.